This week marks 4 years since I stopped working as a nurse. I remember a doctor telling me a little while before that it would be ideal to have at least 6 months off to deal with my health. I drove to my parents’ house and burst into tears to Mum, thinking how on earth do you take 6 months off work?! And then my body made the decision for me. I had been struggling for a year or two before that; forcing myself through the day, too unwell some days to do all my tasks, having to leave during the work day, and using up my sick leave. 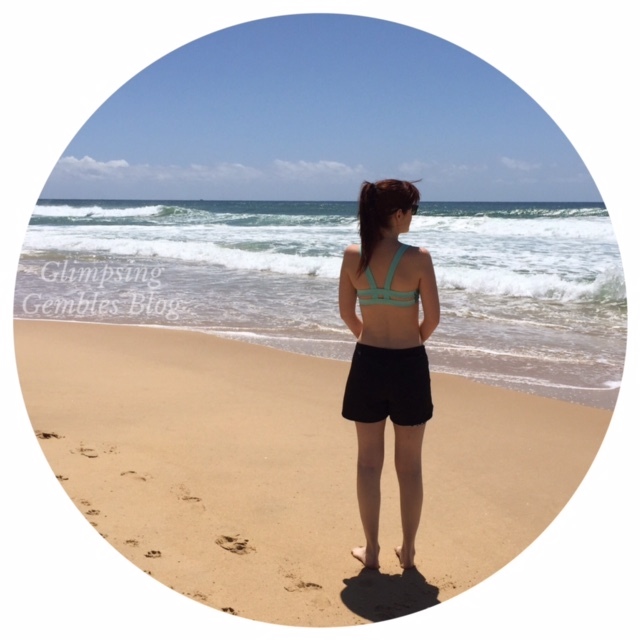 I loved working as a nurse, but my body made it so hard, and in the end, a few days off work turned into a few weeks, and into a few months, and then I had to admit that pushing myself when my body was clearly unable to cope was not the answer. There have been multiple diagnosis since, never-ending medication trials, countless specialists, and enough sleeping and resting to rival any newborn baby! Last year, when reflecting on three years of being unable to work, I wrote a post about my thoughts on working and passions. You can read it here. As I said in that post, I have been able to take something good out of the bad. After two years of being mostly bed-bound, I started a part-time uni course (a Graduate Diploma of Arts, majoring in writing), and I am happy to say that I made it through and have completed it this month! I am still awaiting my final results (eeeekkk!! ), but I feel pretty proud of this milestone (although I would never have done it without my mum, who has helped me greatly). I enjoyed it so much that I have applied for and been accepted into a Fine Arts degree. It does feel strange that I am starting another course, which will take me 5-6 years to complete. However, work is still not a realistic option for me. Study provides me with something concrete to focus on, which is satisfying, and may one day open a door to some kind of work that can accomodate my physical needs. A lot of people see a “healthy-looking” person and assume they should be working, and conclude that they must be lazy, unambitious or unfairly privileged if they do not hold a job. However, being chronically unwell or injured can be a full-time job. I know people see that I go to uni now and think that my health has greatly improved and I am back on track. However, it takes a lot of support, medication, pain, discomfort, and sacrifice to do it, and it is necessary to keep my mind healthy. Sometimes it makes me sad that I can’t contribute to the world in the way I want to. I have to remember that this is where I am at the moment, and I have to keep putting one foot in front of the other, and remain determined to persevere and find out what is ahead. It takes all my energy and determination to get up when I feel unwell, to take new medications when I don’t know how I will react, to go to regular doctor appointments and tests, to deal with setbacks, symptoms, and missing out on things I want to do, and to keep as positive as possible. I know that I must concentrate on my health if I want to try to move forward. Hitting refresh for part two of 2018! Well done! How to turn a negative into a positive. I didn’t realise you haven’t been able to work as a nurse for a while, must have missed that somehow. It is a hard job, physically & emotionally and if you’re unwell it’s pretty well impossible. When Gemma was a little girl she produced a drawing and on it she had written the words, ‘keep a giant smile to your face.’ This has been a mantra for us both over the years and now, as she works through her life’s challenges, proving what a wonderful, courageous woman this daughter of mine is, her ‘giant smile,’ kind heart and intelligence is so special to me.